I posted this article, and had these opinions, years before I even started writing my book. We're talking about books here. It's not like they cost $10,000 each so you can only pick one. 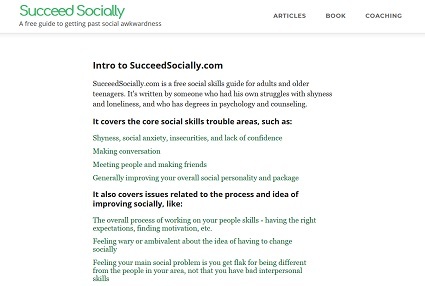 You can easily get a hold of several books on social skills, and why wouldn't you? Anyone who's serious about getting better at something should learn from a bunch of sources. By far the most well-known book on interpersonal skills is the classic How to Win Friends and Influence People by Dale Carnegie. It was originally released all the way back in 1934, but most people have probably read the revised edition from 1981. The newer edition doesn't make that many changes, and still preserves the book's famous old-timey style and abundance of examples about Abraham Lincoln and early 20th century industrialists. 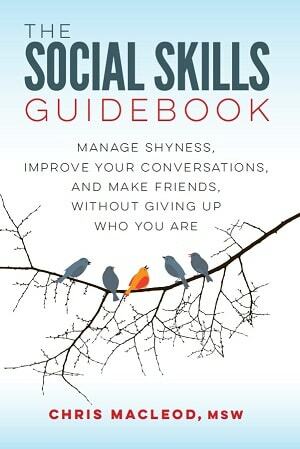 The fact that this book has sold so well and has been around for so long probably increases this perception that it's the final word on social skills. Why read anything that came along after when it already got everything right nearly a century ago? I'm not saying How to Win Friends and Influence People is terrible. It contains a lot of helpful information and there's no reason not to read it. It's cheap to buy. It's quick to go through. Its many, many anecdotes are totally dated, but I think that just adds to its charm. I'm not ragging on the ideas in the book, more the reputation it has for being the only resource anyone ever needs to turn to on the subject. The book itself doesn't even claim to be a complete guide. That's just the impression that people seem to have picked up about it. The book is called How to Win Friends and Influence People, but I get the sense most people focus on the 'How to Win Friends' part of it. When someone brings up or gives their opinion on the book's advice they're almost always referring to the well-known concepts from the Fundamental Techniques in Handling People and Six Ways to Make People Like You sections. There are two other, less mentioned, parts which are more about influence than making friends: Twelve Ways to Win People to Your Way of Thinking, and Be a Leader: How to Change People Without Giving Offense or Arousing Resentment. Overall, the book has a definite emphasis on business and sales and relating to customers. I've noticed that when someone recommends the book, they're usually doing it from the perspective that the book is a guide to generally getting along with others and forming a social circle. There's nothing wrong with wanting to know more about changing people's opinions, or being a good manager, or being able to collect on a bill from an angry vendor, and the book has some handy little tips on these topics. It's just that when a person is asking for help with their social skills, in my experience those usually aren't the areas they're referring to. I'm close to beating this point to death. The concepts above may help people make friends, mainly through the route of becoming a more likable person that others would want to hang out with. However, in my experience there's more to it than that. For example, as I mention in my article on forming a social life, a big piece is being able to take the initiative to make plans. It's also good to know places to meet people. It's not only about being someone who guests enjoy talking to at a dinner party. More general concepts like being able to lighten up or knowing you didn't have to be deep and serious all the time could also be useful. And of course, if social anxiety and poor self-confidence gets in your way, you need to know how to handle that too. If you read reviews of How to Win Friends and Influence People you'll find some pretty polarized opinions about the usefulness of the book's concepts. If I had to sum up the advice the book is known for in one sentence, it would be: "The way to get people to like you is to be a good listener, to be interested in them, and to talk about what they want to talk about." It also emphasizes taking a positive, indirect, non-confrontational approach to dealing with difficult behavior. When people criticize the book's advice they often point to a person they know who applies the principles in a clumsy way; They'll smile a phony, forced smile and ask their co-workers about their hobbies, even though they blatantly don't care, all while repeating their name way too many times. They'll offer one too many syrupy compliments. They go too far with the 'Never criticize or complain' advice and become totally passive, over-agreeable, and ineffective. Some readers apply the 'be interested in others' advice, but take it too far and totally avoid inserting themselves into their conversations. They can end up in unsatisfying, lopsided interactions where the other person only talks about themselves, never asks about them, and doesn't necessarily want to be friends just because they had someone who listened to them. This isn't so much a knock on the book's ideas themselves, but it's one thing to read something and another to apply it smoothly. Even seemingly simple advice like "Talk about the other person's passions" can be easier said than done. 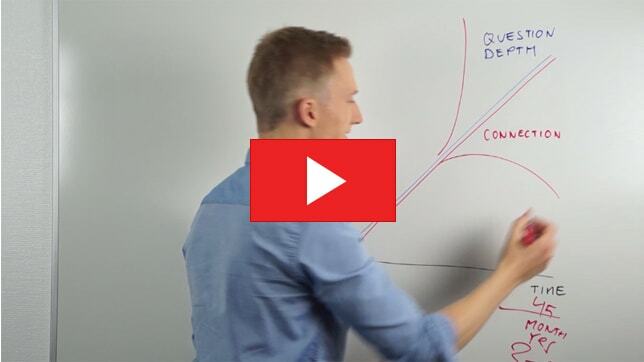 You've got to ask good questions, engage the person, and keep the conversation going. It's not always so simple as going, "You like cars, huh?" and your conversational partner will start talking at you for three hours. It all takes practice. The book's concepts aren't the only way to go about socializing. I'd think of them more as options, or items you have in your toolbox. For example, with certain people, in certain situations, being a good listener and speaking about the other person's interests may go a long way. At other times it may not work quite so magically. Occasionally you really may be able to make a friend by doing the opposite of what the book suggests and talking about yourself and trying to get the other person interested in you. Sure, that approach can backfire a lot of times, but sometimes it does work. In some circumstances it may be best to avoid confrontation. In others the wisest course of action may be to act more hard-nosed and assertive. There are all kinds of ways to do well with people, as long as your approach is well matched to your audience and you carry it out skillfully.